Here are some Sims 3 Store T-Mobile bar things for The Sims 2. 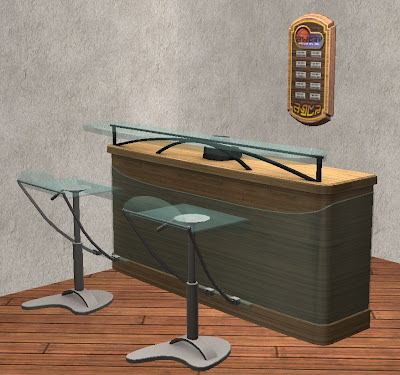 Included in the set is a bar, barstools, and one tile wall art. The wall art costs 120 simoleons. Enjoy!